The bicyclist killed in the hit-and-run collision has been identified as a 44-year-old San Jose man. 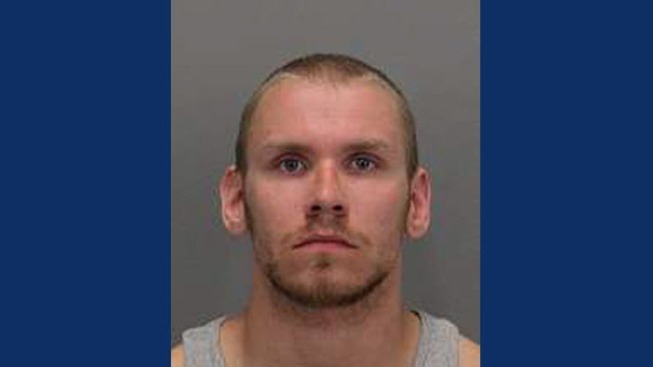 San Jose police have arrested a 23-year-old man in connection to a hit-and-run collision that left a bicyclist dead. Christopher Africa was taken into custody by police at his San Jose home on Wednesday without incident. Police said Africa on Friday, Feb. 12, fled the scene after striking a bicyclist in the area of Winchester Boulevard and Driftwood Drive. The bicyclist, identified as 44-year-old Toedoro Arredando-Diaz, was pronounced deceased at the scene. The vehicle investigators believe Africa was driving at the time of the fatal crash was a red Honda Del Sol, which was later found unoccupied with front-end damage, police said. San Jose police say they’ve found the red sports car believed to have struck and killed a bicyclist, but the person behind the wheel is still at large. Robert Handa reports. Witnesses told police they saw the driver of a red Honda Del Sol crash into a man on a bicycle on South Winchester Boulevard between Loma Verde Drive and Payne Avenue just after midnight Friday. Arredando-Diaz, who was a San Jose resident, is the sixth person to die in a traffic fatality in San Jose this year.